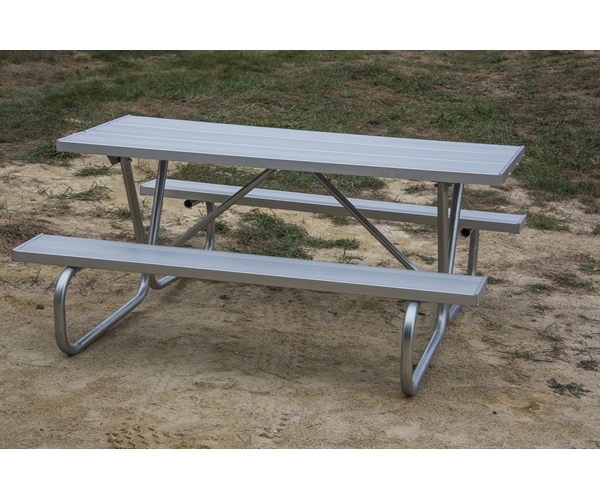 This 8 foot Rectangular Aluminum Picnic Table, 'BG' model has a frame made of 1 5/8 inch O.D. galvanized high strength tube. Cross braces are 1 5/16 inch O.D. galvanized tube. 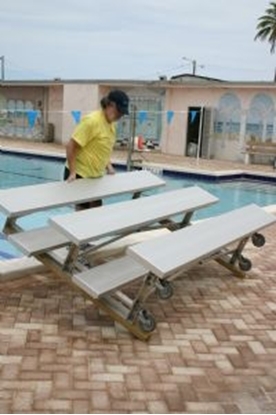 Tops and seats are light weight durable anodized aluminum. Portable design for convenience. Aluminum picnic tables are commercial quality and still within budget.